If you’re a so-called foodie and live in the city of Montreal, you’re pretty much living in gastronomical paradise. Known for its top chefs and wide range of delectable restaurants, Montreal has got it going on when it comes to food. It’s no surprise that the city hoped on the bandwagon and joined the food truck movement a couple years ago. The project improves every year, with better schedules and prime locations, more trucks and most importantly, more delicious food! From May 1st to October 31st, follow the trucks around the city, from Cote-des-Neige, Notre-Dame-de-Grace, South-West, Mercier-Hochelage-Maisonneuve, Rosemont- La petite-Patrie and Verdun. Compared to previous years, the locations have really expanded and cover a wide variety of boroughs, allowing you to grab a bit no matter where you are. 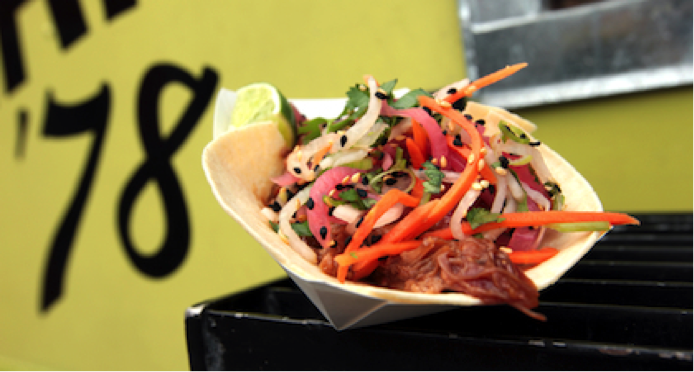 This year, the city has granted 35 food truck permits to 38 pre-determined locations. Who doesn’t love a good taco? They are a bundle of joy wrapped in a corn tortilla, just waiting to bring you happiness with every juicy bit of flavorful delight. You simply can’t go wrong with the idea of a taco truck. Grumman78 serves Mexican inspired food. Try their pork Banhn Mi tacos and hibiscus juice. Be warned though, if you are starving you might rack up a bill with one rather small taco priced at $6 a pop. Be on the lookout for their yellow truck. Cheese makes everything better. Le Cheese’s menu features amazing cheezy classics such as mac and cheese, grilled cheese and cheesy tater tots to name a few. 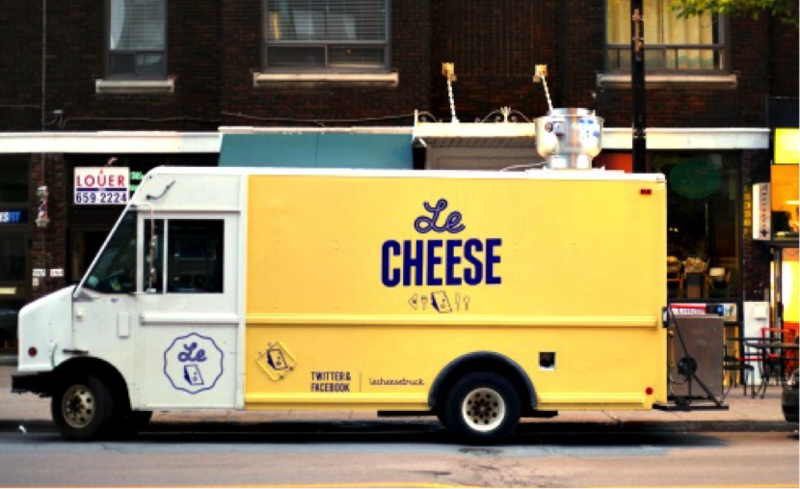 Highlighting local Quebec cheeses and produce, Le Cheese knows how to satisfy your hunger with simple quality comfort food. 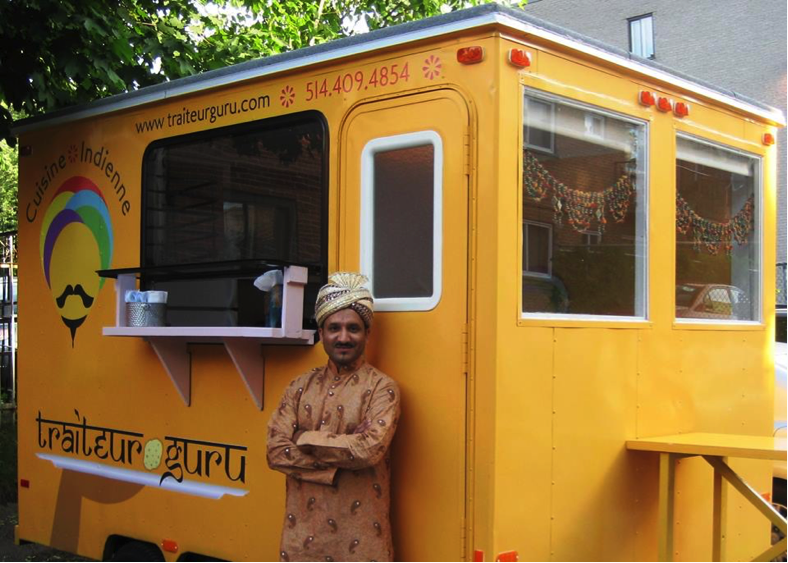 Traiteur Guru is known for its Butter Chicken, Vegetarian samosas and chai latte. Get a taste of Indian cuisine cooked according to ancient culinary traditions. You can’t miss their truck decked out Bollywood style. This is also a great spot for vegetarians looking to experience a flavourful meal with a variety of meatless options. Craving something sweet? 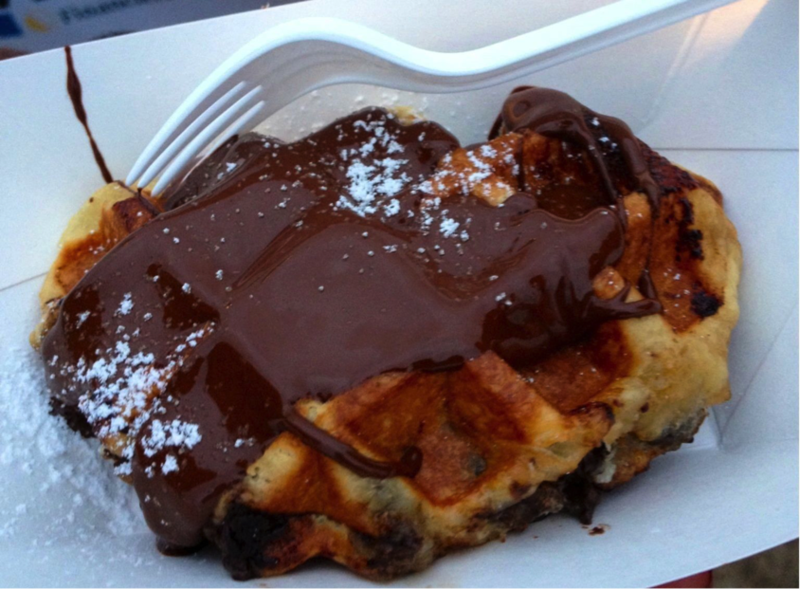 Look up Gaufrabec, find them and get your sugar fix with a Belgium waffle. Sweet, crispy and tender all at once, these bad boys are served fresh and are just as delicious as they sound. Made with local ingredients, Gaufrabec offers chocolate, strawberry and banana waffles. If you’re not in the mood for sweet, order a savoury smoked meat or cheese, spinach and apple waffle. Yum!